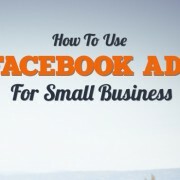 This post is part of a series titled “How To Use Facebook Ads For Small Businesses”. With your goal in place you should have a rough idea of who you’ll need to reach in order to achieve your goal. We want define that target audience as clearly as possible. This will likely involve looking to some of your best existing customers’ demographics, such as gender, age, geographic location, and household income. We’re going to use the concept of a Buyer Persona to help you determine your audience. We’re going to create a basic buyer persona using an actual customer – your best customer. Think of a customer that is passionate about shopping with you and does so frequently. Use the interview-style questionnaire below to get started. Don’t get hung up too much on any individual question. If you don’t know the answer, skip it and come back to it later. By now you’ve created a clear and defined S.M.A.R.T. goal and a Buyer Persona for your ideal customer. 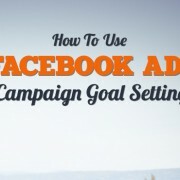 The next step will be creating a post that will engage your audience. What is your best customer’s name? What type of music does she listen to? What type of websites or blogs does she read regularly? What are some of her favorite brands? What TV shows does she watch? What magazines does she read? What are some of her hobbies? Does she do anything interesting in her free time? What products has she purchased from you in the past? How long has she been your customer? When was the last time she purchased a product from your store? Was the purchase for her or a gift for someone else? Did the visit coincide with an event, a discount or a holiday? Is there a problem or a challenge that she faces that one of your products solves for her? Is there a problem that she faces that can’t be solved by one of your products? Why do you believe she is a repeat customer? If she told a friend about your store, how would you imagine the conversation going? Do you go above and beyond? Order products especially for her if they are not in stock? Spend extra time helping her pick out the right products based on her individual needs? Try to remember if she’s ever explained in her own words why she comes back to your store. Or why she likes a particular product you carry. Or why she enjoyed a particular visit. We’re going to use the information above to help create something engaging that we’ll use for your Facebook advertising campaign. The individual customer you’ve chosen may not be a perfect representation of your typical customer, but by defining as much as you know about her, you’ve likely stumbled upon some extremely valuable information. We’re going to use that information to target potential customers that share some of the traits you’ve defined in your Buyer Persona. Now that you’ve completed your persona, look over the information you’ve discovered. Determine 3 attributes that could make your customer a part of the audience that relates to your goal. In example 1, the goal is to sell Trollbeads products to women ages 35-54 over Mother’s Day. So the customer from your buyer persona might relate to your goal because they like products similar to Trollbeads, because they are a woman, because they are in the age group or because they are a mom. In example 2, the goal is to increase bridal registry purchases by targeting women who are recently engaged and her friends. This customer might relate to your goal because she fits the age group, has friends that shop with you, or has purchased bridal products from you in the past. Write down your 3 attributes to use in the next steps.